The Basin Creek Reservoir in Butte, MT served its community with pristine water from both sides of the Continental Divide for nearly 100 years. In 2010, a pine beetle infestation killed most of the trees surrounding the reservoir, many of which fell into the water, increasing the natural organic matter (NOM) level. 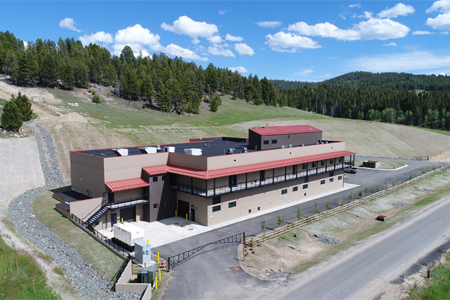 As a result, Butte-Silver Bow (BSB) Water Utility received a violation notice from the Montana Department of Environmental Quality for exceeding their Maximum Contaminant Limit (MCL) for a certain type of disinfection by-product (DBP). This violation prompted the construction of the Basin Creek Water Treatment Plant (WTP).